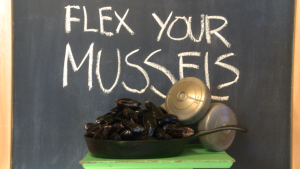 Mussels are incredibly easy to cook, very versatile and best of all one of the tastiest treats in any cooks repertoire. They also travel with their own sauce. 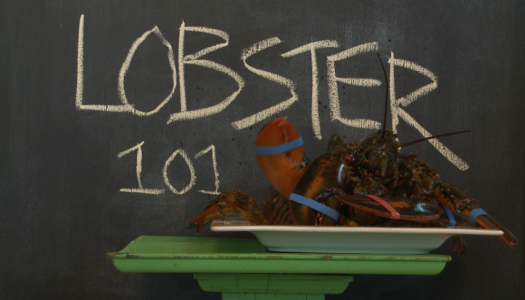 As soon as they’re steamed they release an incredibly flavourful broth that for an extra special treat you can soak up with grilled bread. 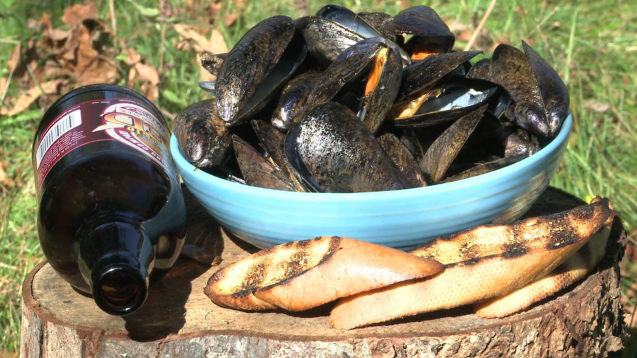 They’re perfect guests at any backyard barbecue! 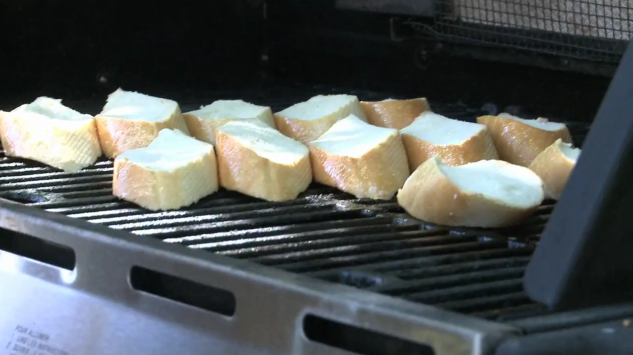 Preheat your grill of BBQ to its highest setting. Toss the bacon into a large pot over medium high heat. Stir until the bacon browns and crisps, about 5 minutes or so. Pour off as much or as little of the rendered bacon fat as you like. 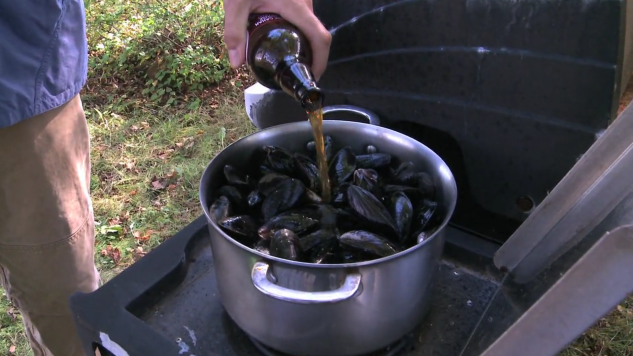 Add the mussels to the pot and pour in the beer. Cover with a tight fitting lid and continue cooking until you see steam escaping from under the lid. Have a peak; if the mussels have opened they’re done! While the mussels are steaming cut the bread diagonally into even slices. Brush with a touch of oil and grill or toast until crispy and golden. 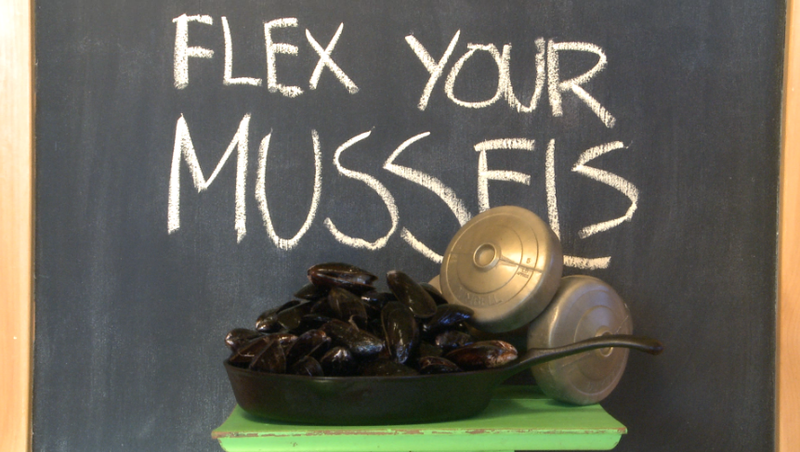 Serve the bread slices with heaping bowls of the mussels and soak up every drop of the tasty juices!